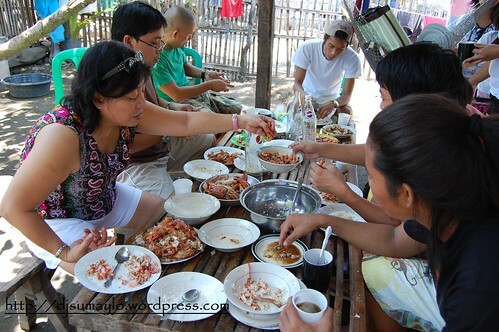 I was born in a barangay near the sea which means eating seafood is an ordinary thing for us. 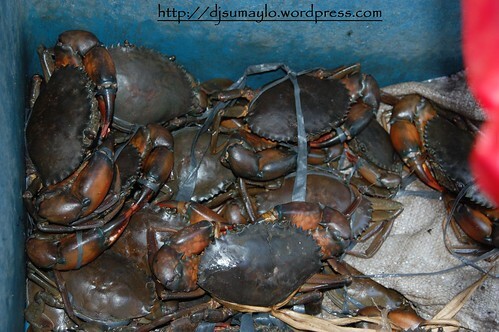 Until now gigantic crabs and prawns are delivered fresh in our house. Sometimes, we just text someone to prepare these for us and we will have lunch by the sea. When I was younger, we sometimes eat breakfast in Biao. One time, we made fresh “kinilaw na pasayan.” For the Japanese, it’s eating raw fish. For us, it’s eating raw small prawns mixed with vinegar, cucumber, and other herbs and spices. It tastes better when it is still alive. “Talaba” is also a common food for us. You just open it and eat it raw or you can grill it before you eat it. That tastes even better. Sea urchin and other shells are readily available as well. So during holy week, we all went back to our roots. 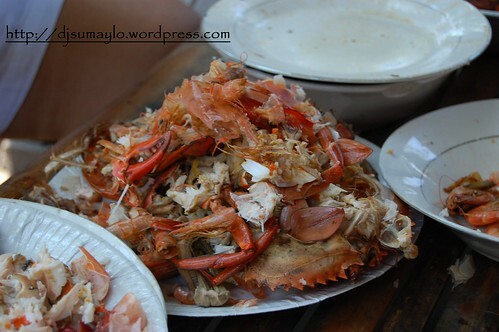 We ordered several kilos of prawns (lokon), crabs, and “talaba” for lunch. We ordered several kilos also for the rest of the week. In return, we brought with us the usual cakes and other dishes we usually have in the city and gave it to the kids of the person we ordered the seafoods from. 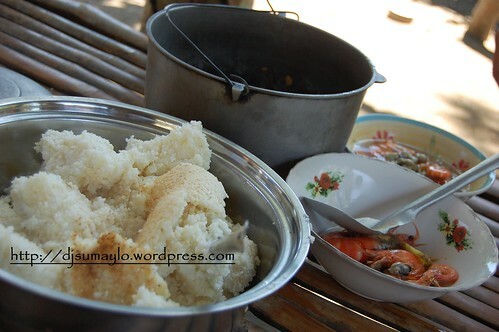 What we usually crave for in the city, like crabs and prawns, they have it as their daily meal. So when we invited them to join us for lunch, they declined the usual seafood. Of course! If you are eating prawns three times a day, you would rather eat adobong baboy in a party.